Now an upcoming event at one of Trump's New Jersey golf courses has been canceled. A local chapter of the nonprofit United Way has decided to move a reception planned for September from the Trump National Golf Club at Colts Neck, New Jersey to a different venue, the group announced Monday. In a statement, the group didn't mention President Trump. "We strongly reject the divisive worldview of groups like the white nationalists and neo-Nazis that incited the violence in Charlottesville, VA. Based on recent events, we have decided to relocate our upcoming event from Trump National Golf Club in Colts Neck," United Way of Monmouth and Ocean Counties said in a statement. Since last week, at least a dozen organizations have called off fundraisers at Trump's Mar-a-Lago club in Palm Beach, Florida. The Trump Organization operates 18 golf courses and a collection of high-profile hotels around the world. It did not respond to a request for comment. The litany of event cancellations follows the president's remarks about a white supremacist rally in Virginia. He's repeatedly insisted that the violence that left one dead and 19 wounded should be blamed on "many sides." The rhetoric also damaged Trump's relationship with corporate America. 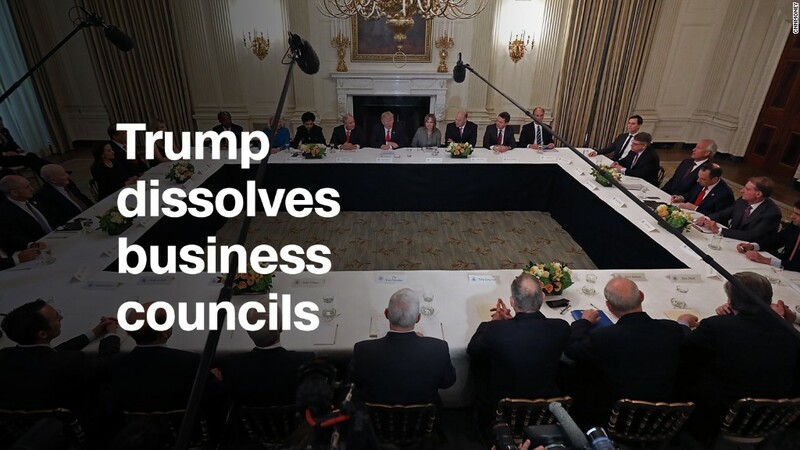 Last week, the president's two business advisory councils were disbanded after a number of CEOs and business leaders cut ties with the White House. United Way Worldwide, the New Jersey chapter's parent organization, put out a separate statement on Charlottesville last Thursday. "Now, more than ever, we must embrace ideas that unify us and make us stronger," the organization said.